If you're In The Mood for some sensational swing music, marvellous melodies, a brilliant big band and even a touch of tap dancing, this is the show for you. 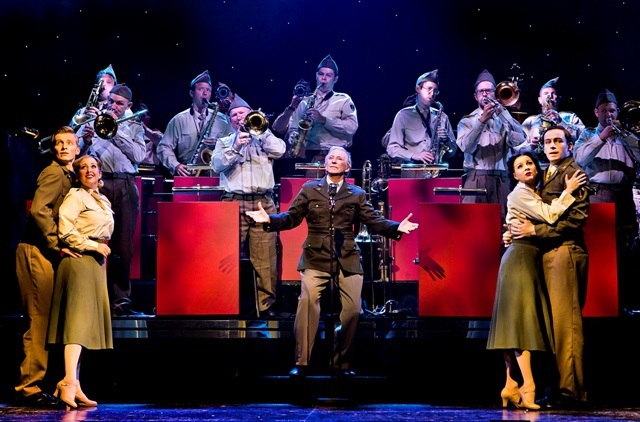 Showbiz legend Tommy Steele may be a few months off his 80th birthday but he puts his heart and soul into the role of Glenn Miller, the talented musician and arranger who, with his orchestra, was one of the biggest stars of the Big Band era of the 1930s and '40s. Glenn was aged 40 when the plane on which he was travelling to Paris disappeared over the English Channel. The Glenn Miller Story opens with Glenn about to board the plane and we really don't notice the age difference between him and Tommy Steele who, as narrator, sets the scene, then adopts an American accent to become Glenn Miller. The audience is taken back to the mid-1920s. Glenn and his pal Chummy (Ashley Knight) are musicians looking for their big break. The show goes up a notch with the appearance of Abigail Jaye as Helen Burger, Glenn's future wife. Her great singing voice is showcased perfectly in her first number, Zing! Went the Strings of my Heart. Things get even better later on with a superb Moonlight Serenade and the wistful At Last. We'd been promised a 16-piece on-stage orchestra and good things come to those who wait. At the end of the first half a curtain at the back of the stage is raised to reveal the musicians performing Moonlight Serenade. Fantastic! Four trumpets, five trombones, five saxophones, drums and double bass. Some of the band – Robert Pearce, Mike Lloyd, Chris Bone and Harry Myers - also double up as characters in the play, with Mike Lloyd as dance hall owner Cy Shribman particularly memorable. While the first half concentrates on Glenn's struggles to establish his career the second half is a glorious celebration of his success. Tommy Steele puts on the famous Glenn spectacles and leads his orchestra in the likes of Chattanoga Choo Choo, St Louis Blues March and Get Happy. 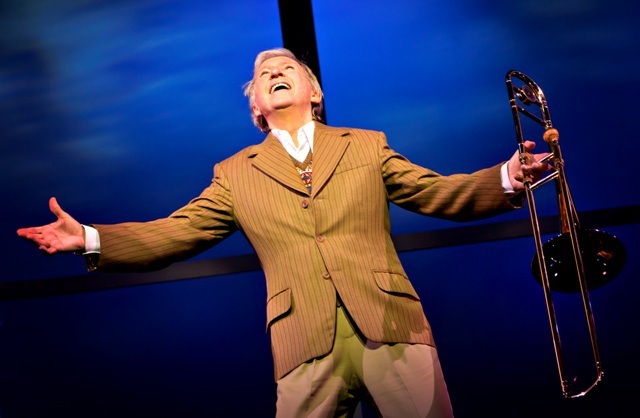 Tommy's voice have softened over the years and he walks a little slower but this is a man who made his stage debut 60 years ago and he knows how to capture, and keep, an audience's attention. The Alex crowd loved him. He doesn't do it alone, however. This production boasts a first class company of six talented singers and dancers who turn their hands (or should that be feet?) to jive, tap and jitterbug. Well done Zoe Nicole Adkin, Siobhan Diffin, Jessica Ellen, Michael Anthony, Jordan Oliver and Alex Tranter. 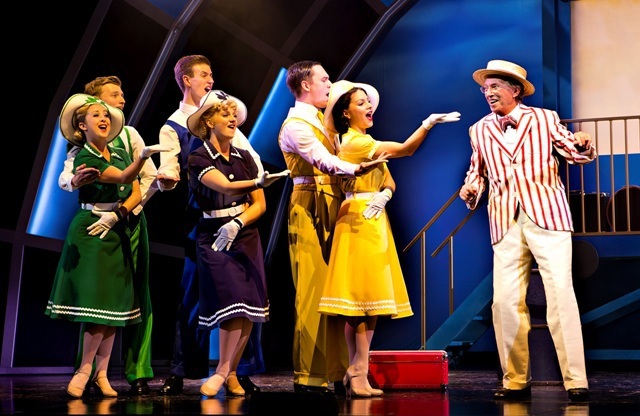 So Don't Sit Under the Apple Tree, I've Got a Gal from Kalamazoo, Boogie Woogie Bugle Boy and Sing Sing Sing has the whole theatre joining in – and leaving in a very happy mood. Where: Birmingham Alexandra Theatre, then touring.